It has been almost 20 years since I last camped outdoor. 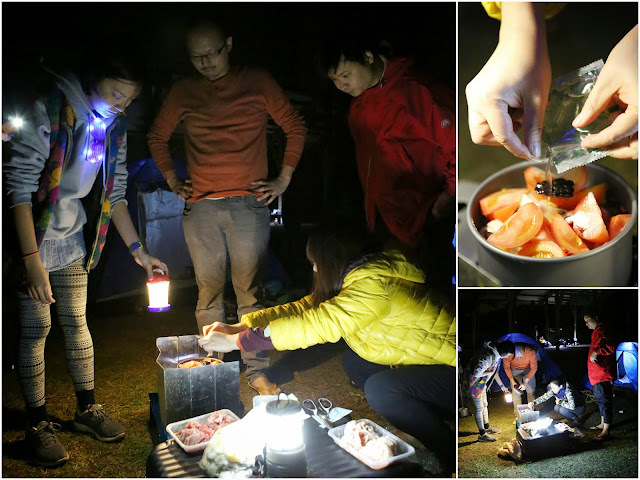 Thanks to my colleagues (Sean and Wing) who invited us, Felicia, Elkan, Tracy and I had our first family camping experience last Saturday. When I told my friends that I will be camping at Wan Tsai, many of them assumed I will be occupying Central on the highway. 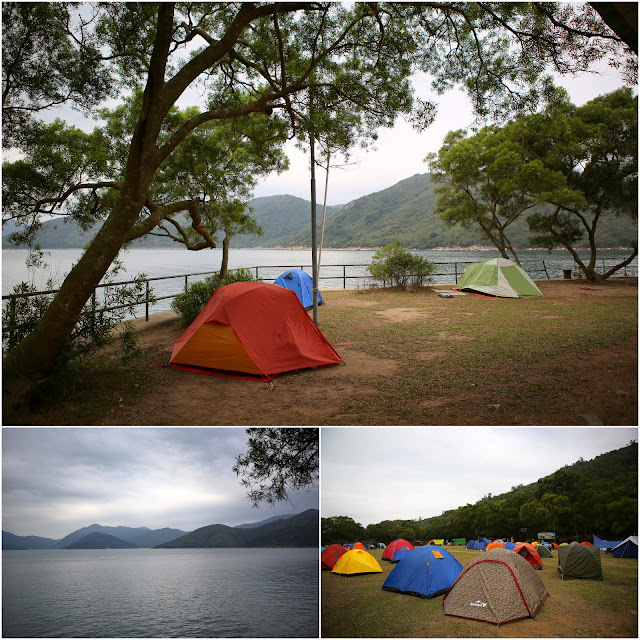 Unknown to many, there is really a campsite by the name of Wan Tsai (not Wanchai) and it is located at the far northeast of Sai Kung. It was a long ride from our apartment in Central. 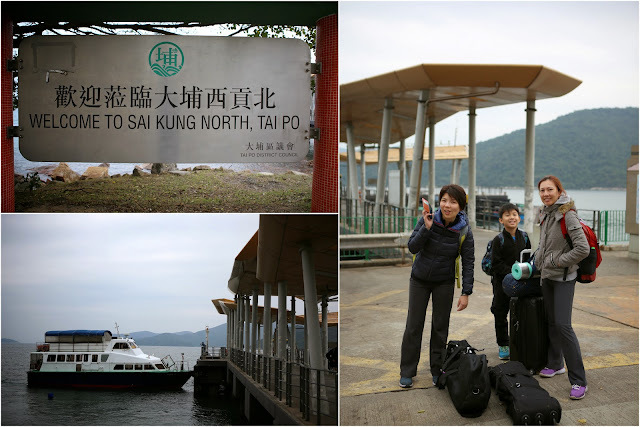 First, we took a cab to Wong Shek Terminus at Sai Kung Country Park. From there, we then took a 20min-ferry to the campsite. 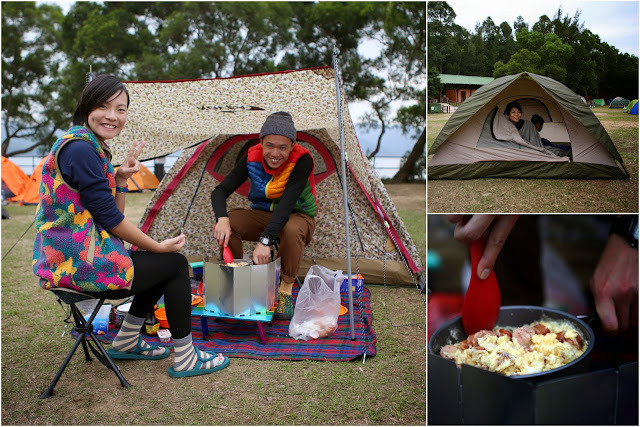 The Wan Tsai campsite is a good site for beginners. It is located just right beside the pier, so we need not to walk very far with the heavy gears. 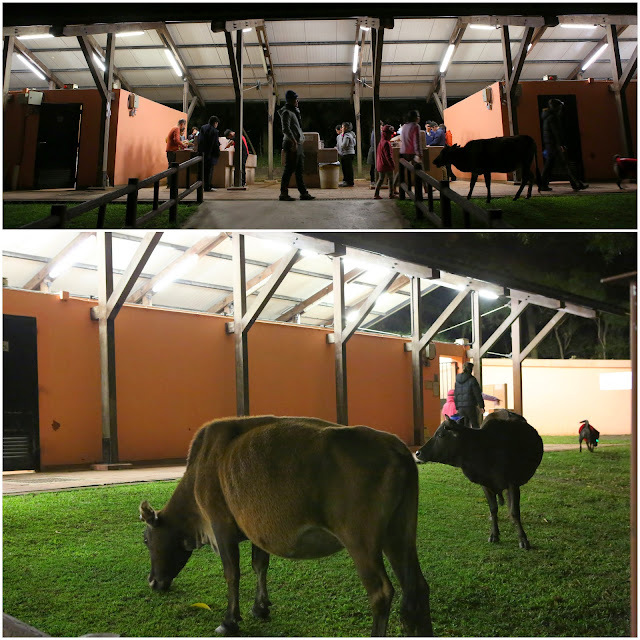 There are lavatory and shower facilities around the campsite and they are very clean! There were many other campers around so we felt very safe. Felicia, Tracy and I were so inexperienced and unprepared for the trip (we brought all the outdoor toys, snacks and bottled drinks but not the basic survival gears!). Lucky for our more camping-savvy friends, they came with the right tools and gears. The weather wasn’t that good. It was misty cold (at about 10-12°C) and it rained in the wee hours. 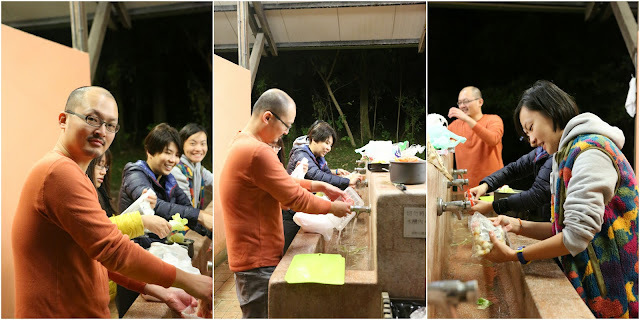 We managed to survive the long cold wet night with some really good warm supper and breakfast. 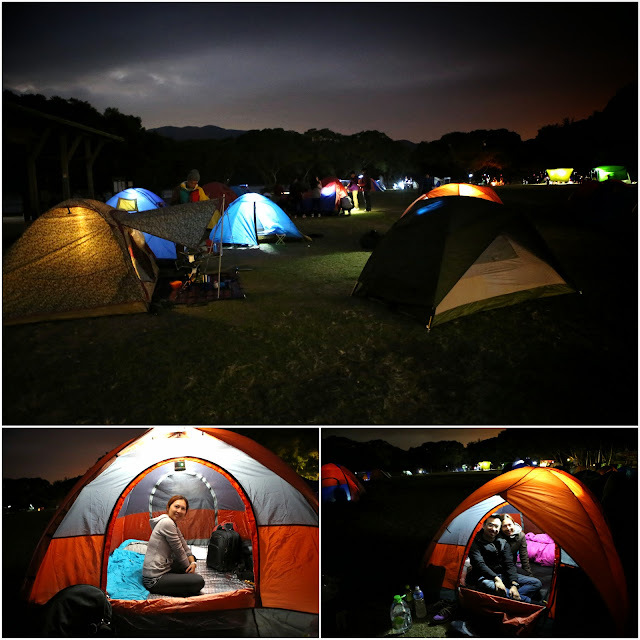 I never expect a cozy night sleep (the tent we bought was too short for my body length) and this was a very good experience for all of us. 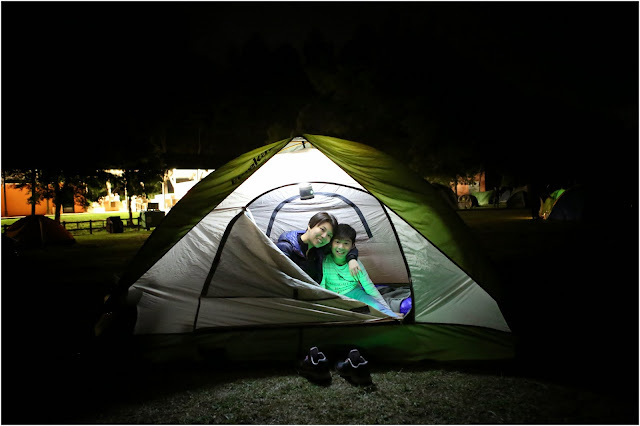 With better cool days coming ahead, I am sure we be doing more outdoor camping in the next few weeks!